Finance for $846 per month at 2.9% APR for 60 months with $5,632 down payment. Payment expires on 04/30/19. Estimated Finance payment based upon 2.9% APR for 60 months, with a down payment of $5,632. Excludes title, taxes, registration, and license fees. Some customers will not qualify. See your authorized dealer for complete details on this and other offers. Residency restrictions may apply. Lease for $486/month for 39 months with $5,632 due at signing including $0 Security Deposit and 10,000 miles per year. Payment expires on 04/30/19. Estimated Lease payment based on 39 months and $5,632 due at lease signing. Cash due at signing includes $7,146 capitalization cost reduction, which includes $650 acquisition fee, plus a required security deposit of $0, and first month's lease payment of $486. Excludes title, taxes, registration, and license fees. Total monthly payments equal $26,095. Mileage charge of $0.25 per mile over 10,000 miles. Not all consumers will qualify. Residency restrictions may apply. Finance for $846 per month at 2.9% APR for 60 months with $5,633 down payment. Payment expires on 04/30/19. Estimated Finance payment based upon 2.9% APR for 60 months, with a down payment of $5,633. Excludes title, taxes, registration, and license fees. Some customers will not qualify. See your authorized dealer for complete details on this and other offers. Residency restrictions may apply. Lease for $487/month for 39 months with $5,633 due at signing including $0 Security Deposit and 10,000 miles per year. Payment expires on 04/30/19. Estimated Lease payment based on 39 months and $5,633 due at lease signing. Cash due at signing includes $7,147 capitalization cost reduction, which includes $650 acquisition fee, plus a required security deposit of $0, and first month's lease payment of $487. Excludes title, taxes, registration, and license fees. Total monthly payments equal $26,102. Mileage charge of $0.25 per mile over 10,000 miles. Not all consumers will qualify. Residency restrictions may apply. Finance for $856 per month at 2.9% APR for 60 months with $5,692 down payment. Payment expires on 04/30/19. Estimated Finance payment based upon 2.9% APR for 60 months, with a down payment of $5,692. Excludes title, taxes, registration, and license fees. Some customers will not qualify. See your authorized dealer for complete details on this and other offers. Residency restrictions may apply. Lease for $492/month for 39 months with $5,692 due at signing including $0 Security Deposit and 10,000 miles per year. Payment expires on 04/30/19. Estimated Lease payment based on 39 months and $5,692 due at lease signing. Cash due at signing includes $7,201 capitalization cost reduction, which includes $650 acquisition fee, plus a required security deposit of $0, and first month's lease payment of $492. Excludes title, taxes, registration, and license fees. Total monthly payments equal $26,367. Mileage charge of $0.25 per mile over 10,000 miles. Not all consumers will qualify. Residency restrictions may apply. A great combination of affluence and performance can be found in the new Cadillac CTS Sedan, available in Gulfport MS. Get a closer look at this sedan at our dealership. The new Cadillac CTS Sedan, inventory present at our Gulfport, MS dealership, has the interior designed in such a way that you won’t feel like getting out of your car. The available heated front and rear seats offer warmth in cold weather. The exterior of the new Cadillac CTS Sedan, inventory available for our Gulfport, MS customers, has crisp lines, and its fluid, sculptural elements of the inlaid hood create a reflective surface. This gives the illusion of motion, even when this sedan is standing still. For the music lovers, the new Cadillac CTS Sedan, available for our customers from in Gulfport, MS, is featured with the Sound system that can help you enjoy your favorite music with crystal clarity. It doesn’t let you down safety-wise either - it comes with the all-speed traction control system and airbags with the passenger-sensing system. Head to our showroom right away and view the wide inventory of the new Cadillac CTS Sedan, available in our inventory, in Gulfport, MS. We also provide financing options here, you can get your queries solved from the expert staff who are ready to help you. 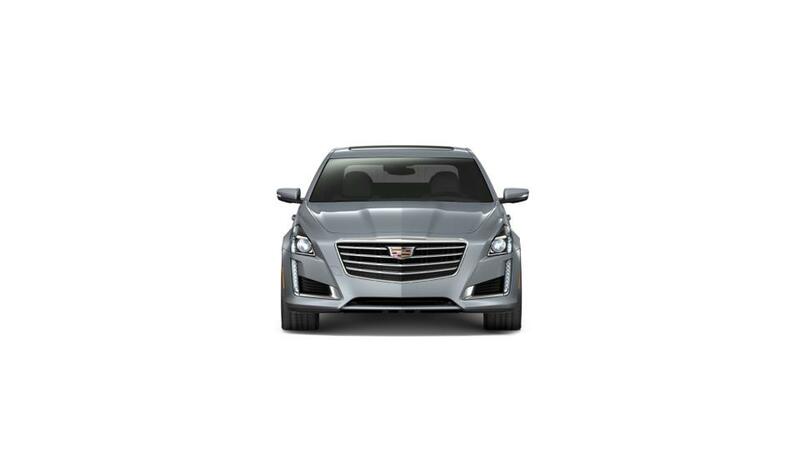 Test-drive the new Cadillac CTS Sedan in Gulfport, MS.